Everyone kept telling me when I arrived here that Bregenz was a Summer town, and that it’s the place to be once the sun begins to shine. Well that time has arrived, and whether you’re looking for a casual beer with friends, somewhere for your wine o’clock, cocktails with the girls or it’s simply Thursday night there is something for you. Here is my hit list for your drinking pleasure. Open over Summer you will find this bar right on the lake on a beautiful little jetty. This is prime real estate for sipping on a nice cold drink and watching the sun set over the lake. As the sun goes down the lights come on making this an extremely romantic location to enjoy a drink. When the sun begins to make an appearance you also can’t overlook this bar on the promenade. If sipping on a cocktail/beer with sand between your toes, looking out onto the water is your idea of a perfect holiday, then this bar is for you. With a variety of events throughout the Summer including barbeques, Reggae and Latino nights and even an open air cinema there is plenty to enjoy as the nights get longer and hotter. 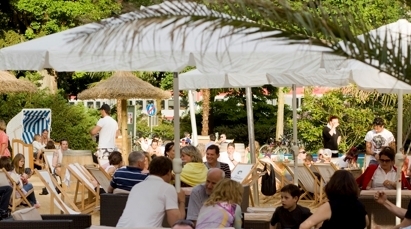 Prefer not to get sand in your shoes but still want a good cocktail then head further along towards Bregenz Hafen and you will find Viva. This Mexican restaurant and bar will celebrate its 20th birthday this year. At the back of the restaurant you’ll find the bustling bar where they have an extensive cocktail menu (both alcoholic and non-alcoholic) as well as catering to the beer, cider and spirit drinkers out there. The owner Christoph makes it his job to make you feel at home here. I visited once in 2012 when on holiday and on my return after three years he still remembered my drink of choice and greeted me warmly like it was only yesterday that we had met. 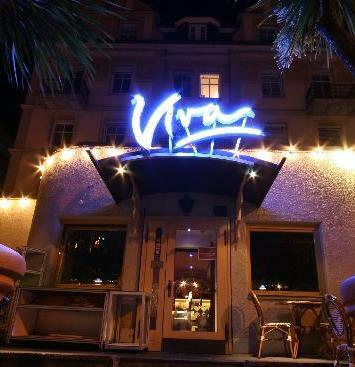 So if you’re looking for a welcoming atmosphere, some good food or just a few drinks or if you’re looking for somewhere to have a beer and watch the game then Viva is the place to be. 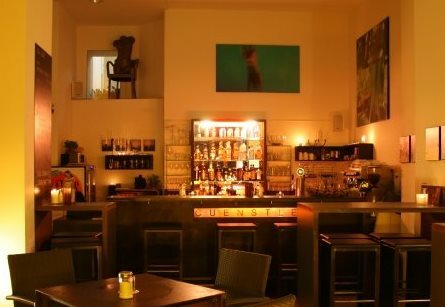 This alternative bar is a little further out of the centre of Bregenz and offers something a bit different to most others in the area. This is a no nonsense, easy going bar that plays a good selection of rock music. Housed in a former factory building with 10 metre high ceilings this impressive space has plenty to do with a darts board and football table, monthly DJ sets, and plenty to drink to keep you happy. The bar runs nearly the whole length of the room where they serve both beer and cider on tap and a good variety of spirits. They do have a small selection of bar food on offer including pizza’s and sandwiches. The service is friendly, the atmosphere casual and relaxed and most importantly the drinks are always flowing. If you’re looking for a more traditional atmosphere and enjoy a quality glass of wine then this wine tavern is for you. They pride themselves on local products and have an array of regional wines and spirits to try. While you work your way through the wine menu why not line your stomach with some fresh produce from local farmers including fresh breads, or cheese and meat platters, or if you’re looking for something more substantial they also offer a small sample menu from their sister restaurant The Goldener Hirschen. I can also highly recommend their chocolate cake which went extremely well with my glass of red. Love your beer? Then pay a visit to Uwe’s. Serving probably the biggest selection of beers in the area with over 30 beers either on tap or in a bottle you are sure to find something to your liking. The choice includes Guinness, Budweiser, Heineken, and of course Mohren to name a few. 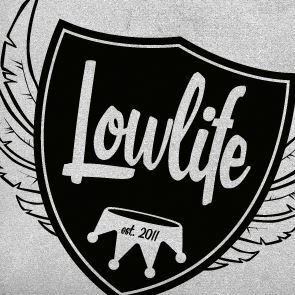 Also, like Lowlife, they have cider on tap. They have a jukebox so you can make you’re own soundtrack for the evening and table football for you to challenge your friends. 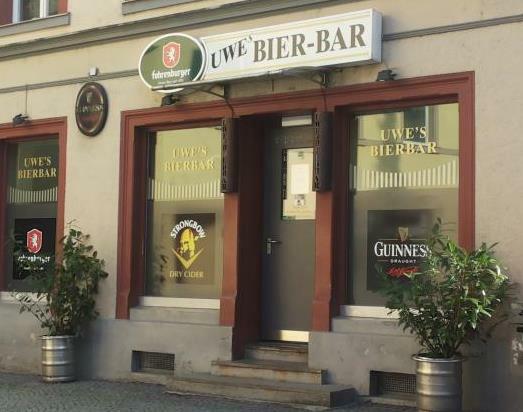 This small bar caters more for the younger crowd but is ideal for a night with mates enjoying a beer or two from around the world. I have frequented this cafe/ bar in Bregenz a few times after dinner for drinks. 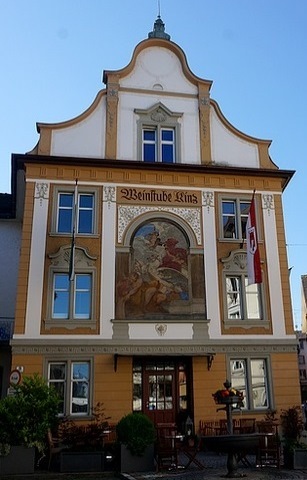 As you would expect from the name, as you enter you will notice the pieces of art lining the walls, which are all from local artists in Vorarlberg and are all for sale. After you find a table you also begin to take in the other quirky art pieces like the trumpet light hanging from the ceiling, or the collection of protesting gnomes dotted around the place. If you can grab a spot at the window this is ideal for people watching on the Kornmarktplatz. They have a few beers on offer from Austria and Germany as well as some good quality wine. I tried their bio wine which was slightly more expensive but well worth it and this investment not only allowed me to enjoy a good few glasses of wine, but also ensured I woke up the next day feeling like I hadn’t drunk at all. Perfect. They offer table service and this cafe/bar is non-smoking, but does have outside seating. With a cosy interior (I love the arched ceilings) and great outside seating in the warmer months, this cafe/bar is one to visit. With a really relaxed vibe, it is very easy to grab a bite to eat and then stay for a drink or two… or three. They also get bonus points for their staff uniforms.